When I opened this site nine years ago, I never knew I would gain such amazing, inspiring friends that have been strong supporters of We Love 3T and the Jackson Family. One of my friends send me a sweet message every year. She designs the most beautiful clothes and her inspiration comes from the trend setting styles of Michael Jackson and his music that continues to live on through generations. She just recently created an outfit, although designed for a woman, this outfit was created with the BAD album in mind for the 30th Anniversary of Micheal Jackson's BAD album. The ruffle on the bottom of the jacket is a nod to the Victorian influence of the BAD tour at London's Wembly Stadium. She always loved the snake jacket Michael Jackson wore so, she tried to incorporate that on the front of her amazing design of the woman's jacket. Michael Jackson was well know for his music by the fans that loved him and still love him today and he was also equally known for his trend setting designs on and off of the Red Carpet. Join we in giving Mrs. Kathy Knapp a thumbs up on a job well done on her inspiring design and leave her some love with comments below. "Remembering Michael Jackson" is a mixed-media, contemporary art, quilt designed by Mrs. Kathy Knapp. She originally designed the piece for "Cultural Icons" an International Art Event. Mrs. Knapp later shared her design here on the website for fans to enjoy. Mrs. Knapp has recently been transitioning from wearable art into mixed media textiles. She came across the event by accident in late January and only had a few weeks to complete it as it was due on February 14, 2016. Although, she did not have a lot of time to complete her work, she put an intense effort into it, working 12 hour days until completion. Since, Mrs. Knapp felt Michael Jackson defined THE Icon of pop culture, she felt compelled to meet this challenge. "This work is inspired by the iconic sequined white glove that defined Michael Jackson for a generation. From his elaborate stage costumes and choreography of his short films; he defined the genre of the music video. He served as inspiration for all artists to become innovators and perfectionists of their craft and above all, to “follow your dreams wherever they may lead”. Mrs. Knapp is hoping to do a garment and contemporary art quilt for the 30th Anniversary of the BAD album. Michael Jackson's BAD album was released on August 31, 1987, two days after his birthday. Family Love: Adair Design Co. and Adair Men's Design Co. 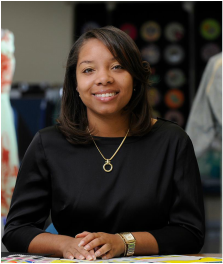 I am happy and proud to announce that my beautiful, amazing and talented cousin Ms. Jasmine Flood has an amazing designer line called Adair Design CO. and Adair Men’s Designs. CO.
She is a native of Greenville, NC, she is an NC State Alumni and an Alpha Kappa Alpha Sorority member. She is also a fan of the Jackson family's music. She has been featured on Good Morning American and on WCTI News 12, Greenville. She has beautiful handcrafted designs including necklaces, cufflinks, tie bars and earring for music lovers, charm bracelets, great gifts for men and women including stationery, canvas and so much more. Nov 20, 2013- On The Voice: Christina Aguilera & her team perform a Jackson medley tribute to Michael and Janet Jackson. They performed Janet Jackson's "Black Cat" and Michael Jackson's "Scream" and "BAD". dance at a very early age". more about Tommy Parker. His work with his mentor and business partner Rodney Jerkins/Darkchild and his strong ability on the keys as backup vocals for Austin Brown’s band has made him a fan favorite. several different nicknames for Tommy. His newest one came to her mind and she decided with the other members that this new group for Tommy Parker should be called "Prince Parker Fans". The group later turned into a website called "The Official Prince Parker Fans" in April of 2012 and now currently has over 1,000 fans. During the time the website was just starting out, Amber announced that after talking with Tommy Parker, they would be teaming up to bring the fans a new interactive page called "Tommy Tuesdays". "Tommy Tuesdays" features questions from Amber to Tommy Parker and Tommy Parker's answers to her questions. This way fans have a chance to know a little more about Tommy Parker and his amazing work as a musician, producer and artist. She hoped later to, and did expand "Tommy Tuesdays" to fans and allow the fans to write in and receive an answer to their questions as well from Tommy Parker. Through "Tommy Tuesdays" fans get to experience his music and thoughts on various topics which have included his thoughts on Michael Jackson and Janet Jackson. Jackson and Austin Brown. He is sorry to say that he was never able to work with the great Michael Jackson but, wanted to. Tommy worked with Janet Jackson on the song “Make Me”. Janet Jackson released and dedicated “Make Me” to her brother Michael Jackson. who would it be and why? Tommy Parker's answer was "Of course, Michael Jackson, because I have always wanted to work with a king." family and I Really love her and her family. She is amazing. 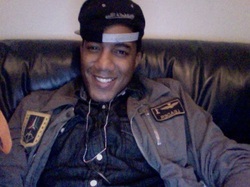 Tommy Parker since that interview was able to work with Janet Jackson again, overseas for her new upcoming album. Janet Jackson featured in EMP's Women Who Rock: Vision, Passion, Power exhibit. 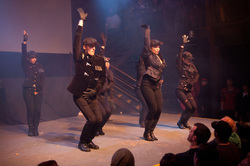 Janet Jackson's Rhythm Nation video jacket to be featured in EMP's Women Who Rock: Vision, Passion, Power exhibit. The exhibit features iconic women spanning the decades that have made an impact on the music industry. The exhibit will run through September 22, 2013. Jackson Brothers are bringing "Unity Tour" to Australian cities. I hope everyone had a Happy Thanksgiving and a great time with family and friends. We here at We Love 3T have so much to be thankful for. I am so happy to announce to you all that I have heard from Treasure's mother and Treasure is doing wonderful! She just passed the 2 year mark since her last surgery. She started high school in September and is living her life as a teenager should be. http://www.friendsoftreasure.com/home.html to see how Treasure and her mom are "Paying It Forward" by helping others. Treasure's mom would like to ask those of you who can to please help with a fundraising event they have going on right now. They are trying to help a little girl named Gabby. She needs a mobility chair that costs approximately $1500. She just suffered a bad fall and is really in need of help. 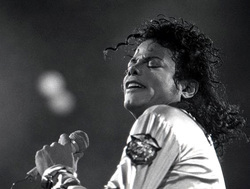 Michael Jackson to be inducted in the Official R&B Music Hall of Fame. The Official R&B Music Hall of Fame Museum plans to honor those individuals who have made amazing contributions to music genre. Michael Jackson name will be one of the first, along with Whitney Houston, Aretha Franklin, James Brown, The Temptations, Otis Redding, The O' Jays, Gerald Levert and many more. You know I have to say this because the media has done everything possible to destroy the Jackson family. They have written millions and millions of lies about the Jackson family and it is sad to say for some people they believe the lies because it is written somewhere, so they feel it must be true. I think it is sick that certain individuals refuse to allow Michael Jackson to rest in peace.The Jackson family seem to have targets on their backs. Today, we were asked to wear orange to show our support against bullying but, I guess if you are considered a celebrity, then who cares. I hope Janet continues to remain strong though some are truly trying to break her, WeloveyouJanetJackson!